Many developers will say that your content is the key to a great website. That is almost 100% true. Content should be your top priority, but it's not your entire site. Your site should have a balance of content, simplicity, usability, and design. There are even more elements and components of web development that can be discussed on a later time. Let’s keep this section of web design as simple as we can. Above there is a formula with content + simplicity + usability = website design. What does that mean? 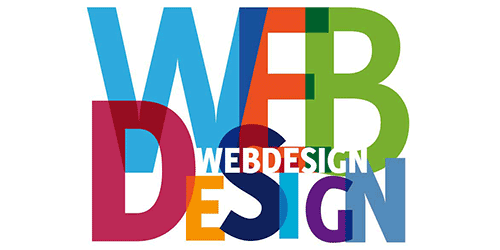 Most websites will start with a design and work the other elements in around it. This can work, but it will take more time. If you put plan of these other elements before the design, you will not only save time, but the design will be better. You need to know what type of content is going on your website. Think of the theme, writing style, and attitude of the site. You don't want to design some website with cars and flames if you are going to have a cooking recipe site. You want your design to enhance the content, not destroy it. If you can make a content packed website and make your design simple, you are on your way of success. There is nothing more frustrating than going to a website and not be able to find what you are looking for. What is the use of having great content if no one can find your articles, product, or service? Keep your designs simple. Don't fall into the most common design mistakes. You can make a site simpler with more whitespace, bigger font, and using a standard layout. The standard layout of a website is main navigation on the top or left and content is in the middle. If you did simplicity correct, usability going to fall right into place. Your visitors want to interact with your website. This is where you can have fun with your design. Have some mouseovers, animation, or interaction that the visitor has to click through. jQuery, Ajax, and Flash have opened many doors to this element. A good website design will only take 5 secs before people will decide to enter or leave your site. This is important. Your design must be something that your visitor finds appealing. Having clean dull colors and plenty of whitespace is a good place to start. Balance your content with graphical elements like images, movies, or applications. Try to show exactly what the website is about once a visitor lands on your page. This phase above has been used for all types of multimedia development and it never fails. If you have taken these elements to enhance your website design with KISS in mind. You will be on your way to something great. Research your ideas and look at what other people are doing. There is no use in trying to reinvent the wheel. Just try to make the wheel better. Find something that you can push into something new. It is hard to think out of the box, but the only way to find out if it works is to do it. Don't be afraid if something doens't work, because you will know not to make the same mistake again.